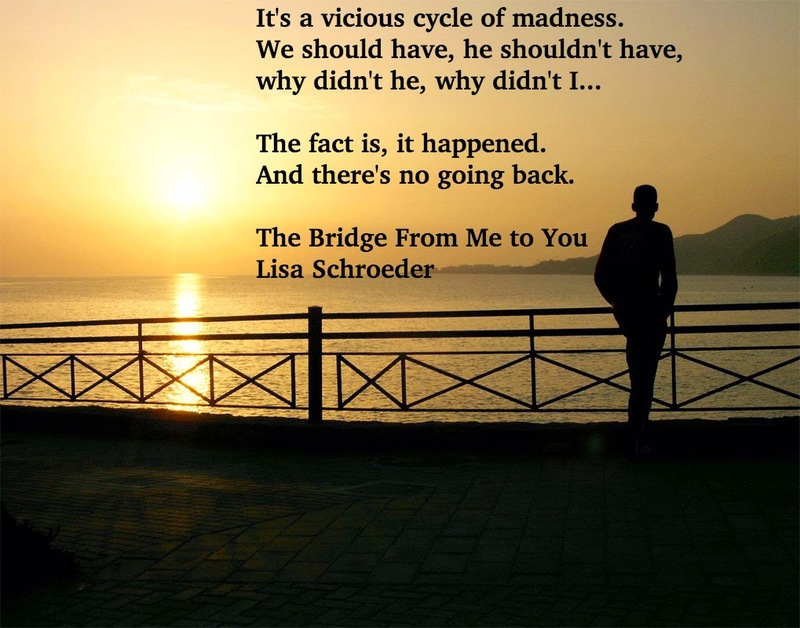 Lisa Schroeder, Author: The Bridge From Me to You - Question 3 - Why half verse, half prose? The Bridge From Me to You - Question 3 - Why half verse, half prose? We are just a week away from the official release date, although I've had one report of an early sighting, which happens quite often when you're a mid-list author like I am. If they get shipments early, they only hold back the highly anticipated books. You know, the ones that are going to make a million dollars, haha. SO, each day between now and then, I'll be posting a quote from the book. It's like pulling the spatula out of the bowl of frosting and having a little taste before you eat the cake. Here's today's quote, and then I'll get to the answer to the question. Until now, I've written four novels almost entirely in verse. I say "almost entirely" because THE DAY BEFORE has some letters sprinkled throughout. 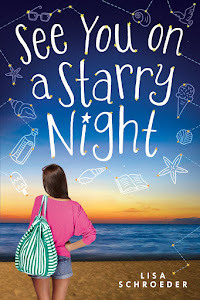 FALLING FOR YOU was my first foray into regular prose (as far as YA, all of my MG novels are written in prose), because the story called for it, I think. With lots of characters and lots of dialogue required, it can be difficult to make verse work well. I never want to try and MAKE something work because that just isn't how it's done. The story has to flow for me in a natural way. It's like floating down a river rather than trying to paddle upstream, if that makes sense. So when I started writing THE BRIDGE FROM ME TO YOU, Lauren's voice came out easily in verse. But Colby's just... wouldn't. I tried a few different things, and it wasn't working. Once I wrote a short chapter in prose from his point of view, it felt right. Half verse, half prose is different. Whenever I do something outside of the norma, I'm not gonna lie, it scares me a little because there is some risk in that. Too different, and it might be hard to get a contract. Fortunately, my editor liked how it turned out, as did the rest of the team at Scholastic. Sometimes you have to go with your gut and hope for the best! Wow! I didn't even know this was coming. So excited to see another verse (half) novel from you! Ha, I didn't realize until now that this book was half verse and half prose. Awesome! I have a WIP that is written in half verse and half prose(ish). So this is encouraging to me. 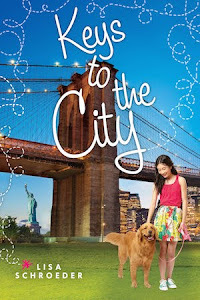 I can't wait to read your new book!